Last week, my 7 year-old nephew, (let’s call him) Homer, brought home another stupendous homework assignment. He was required to read a phonics primer to his parents, get his parents to sign that they had been sufficiently tortured by the experience and then answer comprehension questions on a worksheet. The book was titled, Fawn at Dawn. Homer then whipped out his worksheet and assumed the role of literary critic. Question #1: The story was about? The story was about a girl named Jenny who saw a fawn, but nobody believed her. Question #2: Favorite part of the book? The teacher corrected the spelling of “poorly” despite the mistake being wholly consistent with phonics instruction. Then things began to get a bit ugly. Question #3: Who else do you think would like this book? I don’t think anyone would like this book. It’s just aw aw aw awful! On Homer’s paper the teacher wrote something to the effect of “I’m sorry you didn’t like it. I guess you have the right to your opinion.” (as if she LOVED the book) In class the teacher dismissed Homer’s critique by reminding the kids that this was a phonics lesson so the stories don’t have to be good. Homer has been reading fluently for three years and loves books, but this one-size-fits-all assignment made no allowances for his skill or personal interests. 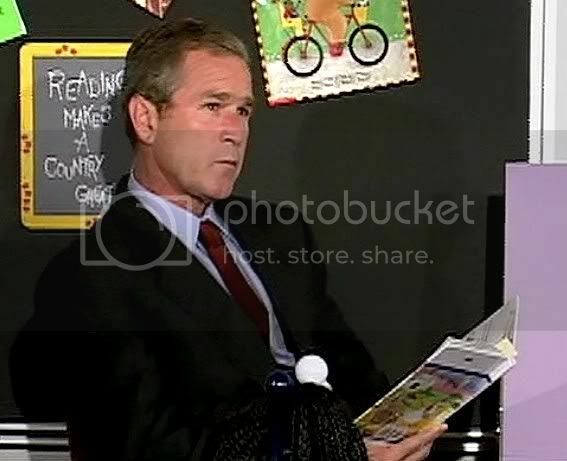 In fact, there would be no time for pleasure reading that night because by the time this second grader gets off the bus at 4:30 PM, does his homework and eats dinner there is rarely any time left to waste on playing with friends, practicing an instrument, visiting with his parents or reading a good book. Couldn’t Homer read a real book and make a list of the “aw” words he encountered? If I were to suspend my disbelief and stipulate that every child learns to read by systematically mastering 43 phonemes I am left with a simple question. Once a child can read shouldn’t phonics instruction end? Why has phonics become a separate subject rather than a decoding strategy? Why should Homer and his literate friends be subjected to crummy reading materials until middle school when a bumper crop of high-quality high-interest literature is available? Aside from reducing teachers to script-reading robots and reading to an onerous task, the Federal government’s controversial $4.8 billion Reading First program has been accused of numerous improprieties by the Inspector General of the Department of Education. The scathing report, The Reading First Program’s Grant Application Process – Final Inspection Report, was released on Friday (June 22), employing a common tactic used in the hopes that bad news will escape the public’s attention over the weekend. This is a news story that should not be ignored. Secretary of Education Margaret Spellings is spinning the report as ancient history predating her tenure in the position although she was an architect of No Child Left Behind. Reading First was a cornerstone of NCLB. Intervened to influence reading programs being used by local educational agencies (LEAs) after the application process was completed. I would like to call attention to four major issues that should alarm educators and taxpayers alike. The No Child Left Behind legislation mandated that a National Expert Review Panel be appointed to review scientifically-based reading materials eligible for Reading First funding. The Inspector General’s Report found that makeup of the panels was inconsistent with the goals of the law authorizing the panels. Section 1203(c)(2)(A) states that the Secretary, in consultation with the National Institute for Literacy (NIFL), shall convene a panel to evaluate applications and that, at a minimum, the panel shall include: three individuals selected by the Secretary, three individuals selected by NIFL, three individuals selected by the National Research Council of the National Academy of Sciences (NAS), and three individuals selected by the National Institute of Child Health and Human Development (NICHD). We have determined that each of the four organizations nominated at least three individuals to serve on the expert review panel; however, the Department failed to ensure that each State application was reviewed by a properly constituted panel. Section 1203(c)(2)(C) requires a panel to recommend grant applications to the Secretary for funding or for disapproval. After selecting the panelists, the Department created subpanels made up of five panelists each to review the State applications and recommend either approval or disapproval to the Secretary. None of the subpanels possessed adequate representation from each of the organizations identified under Section 1203(c)(2)(A) of the Act. The Department created a total of 16 subpanels to review the State applications. A majority of the panelists were nominated by the Department for 15 of the 16 subpanels; and 7 of the 16 subpanels consisted entirely of Department-selected panelists. None of the subpanels included a representative from each of the nominating organizations and there is no indication that the subpanels ever met as one large panel to review the State applications and/or recommend approval or disapproval to the Secretary. If your eyes glazed over by the official mumbo jumbo above, check out this statement from the Inspector General’s report. …15 of the 16 subpanels had a majority of Department-nominated panelists and none had the balanced composition envisioned by Congress. Members of the National Expert Review Panels and Reading First staffers had commercial or academic ties to Direct Instruction. These conflicts rose all the way up the Department of Education to then Secretary of Education, Rod Paige, who won an award from McGraw-Hill for his role in the now largely discredited “Houston Miracle” – the basis for No Child Left Behind. The Reading First Director took direct action to ensure that a particular approach to reading instruction was represented on the expert review panel. Direct Instruction (DI) is a model for teaching that requires the use of Reading Mastery, a program published by SRA/McGraw-Hill, to teach reading. The Reading First Director formerly served as the Executive Director of the Baltimore Curriculum Project, which has implemented DI in Baltimore City schools since 1996. The Reading First Director personally nominated three individuals who had significant professional connections to DI to serve on the expert review panel. When asked about potential conflicts of interest and ideological blindness, Reading First officials reacted sarcastically with contempt for Congress and the public. The Inspector General’s report documents how the Department of Education and the review panels manipulated the law to support Direct Instruction at the expense of competing programs. Reading Recovery, an remedial intervention strategy employed by schools across the globe, was a particular target of Reading First. The Inspector General’s report includes an email from Reading First Director, Chris Doherty in which he makes his motives and temperament perfectly clear. Reading Recovery was not the only approach or curricular product to endure the wrath of Reading First officials. Reading First attacked any curriculum product or pedagogical approach determined to have a whiff of “whole language”. After certain States completed the application process and received funding, the Reading First Director became aware that certain LEAs in these States were using the Rigby Literacy (Rigby) and Wright Group Literacy (Wright Group) programs. The Reading First Director worked closely with a Department staff member, a former expert review panelist, who undertook a review of both of these programs. Confidential FYI. Pardon in-house language I use…with fellow team members and friends. Do you know—on the QT—if anyone has done any good review of the Wright Group stuff, to date? We have beaten Maine on Rigby and this is cut from the same cloth. We are proceeding, of course, but if you knew of a good piece of work dissecting The Wright Group’s stuff, it could further strengthen our hand. As you may remember, RF got Maine to UNDO its already-made decision to have Rigby be one of their two approved core programs (Ha, ha – Rigby as a CORE program? When pigs fly!) We also as you may recall, got NJ [New Jersey] to stop its districts from using Rigby (and the Wright Group, btw) and are doing the same in Mississippi. This is for your FYI, as I think this program-bashing is best done off or under the major radar screens. In a formal letter to Carrigg, the Reading First Director did not specifically name Rigby and Wright Group as not being aligned with SBRR (scientifically-based reading research). The Reading First Director wrote, “It appeared that New Jersey had not fulfilled its responsibility to ensure that all LEAs and schools selected to participate in Reading First…would implement comprehensive reading programs that are fully aligned with scientifically based reading research.” The Reading First Director informed us that he could not definitively say why he did not formally state in the letter that those specific programs were not in line with SBRR. Issue 4) Bias equals dissent? The Inspector General’s reports how Reid Lyon, one of the architects of No Child Left Behind and Reading First, viewed dissent. People who disagreed with his agenda were accused of bias, ridiculed and intimidated. The apparent intent of the Reading First Director to include and to give a significant role to panelists who reflected his personal preference in reading programs; his specific encouragement to a panelist who held views similar to his on Reading Recovery; and the intention of the former Senior Advisor to the Secretary to control another panelist raise significant questions about the control environment in which the program was being managed. How is ignoring competing views part of the “scientific method” Lyon and his colleagues require as the basis for all educational practice? The Executive Summary of the Inspector General’s report describes the following findings about Reading First. The Pulse will continue to follow this important story. We will report on what happens to Reading First money already in the pipeline and if government officials are held accountable for their actions. Our teachers, students and taxpayers deserve no less. The Schools Matter blog, while representing a particular point-of-view, offers extensive coverage and analysis of the Reading First scandal. Susan Ohanian reported (in 2005) on the original concerns that led to the Inspector General’s investigation. Read Special Report: Reading First Under Fire: IG Targets Conflicts of Interest, Limits on Local Control. Douglas Carnine, one of the major proponents of DIBELs and a person involved in assisting Reid Lyon in assembling the Reading First panels discussed in the Director General’s report. Two of his colleagues from the University of Oregon were on the review panel. Carnine consults with the Department of Education and Congress on a remarkable range of topics and with great frequency. The views expressed in this article are the opinions of the author and not the views of The Pulse, District Administration Magazine or Professional Media Group.